Michigan Immigrant Rights Center (MIRC) is seeking applicants to sponsor for 2018-2020 Skadden, Soros Justice, and Equal Justice Works Fellowships to work on a project related to the immigration consequences of criminal cases. This project would be to address the increased demand for MIRC’s expertise in this area and would involve partnering with local public defenders, private criminal defense attorneys, the Michigan Indigent Defense Commission, and other advocacy groups. MIRC is a legal resource center for immigrants and immigration advocates across Michigan with offices in Ann Arbor, Detroit, Grand Rapids, and Kalamazoo. MIRC’s work includes direct representation, pro bono referrals, impact litigation, training, coalition building, advocacy, technical support, and more. 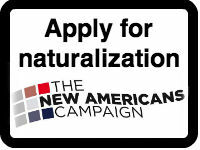 Visit michiganimmigrant.org for more information. You must be: a current law student who will graduate in Dec 2017/May 2018, a Dec 2016/May 2017 graduate who will be clerking 2017-2018, or a recent law school graduate who is currently clerking and will finish the clerkships(s) by August 2018. Applicants must sit for the Michigan bar exam prior to the start of the fellowship. Applicants must have a demonstrated commitment to public service. You must be eligible to apply for at least two of these project-based fellowships: Skadden Fellowships, Soros Justice Fellowships, and Equal Justice Works Fellowships. Please review the requirements and process for these fellowships before submitting an application to MIRC. Applications will be considered on a rolling basis until July 1st. Send a resume, cover letter, and unofficial law school transcript as attachment(s) to jobs@michiganimmigrant.org with “MIRC Fellowship Application” in the subject of your email. Your cover letter should include (1) a brief description of your interest in immigration and criminal justice issues, (2) an explanation of why you are interested in a project-based fellowship with MIRC, (3) which fellowships you plan to apply for (Skadden, Soros, Equal Justice Works), and (4) your relevant background and experience. Alyson Robbins, Manager of Outreach & Development, arobbins@lsscm.org. MIRC is an equal opportunity employer. We encourage minorities, women and persons with disabilities to apply.